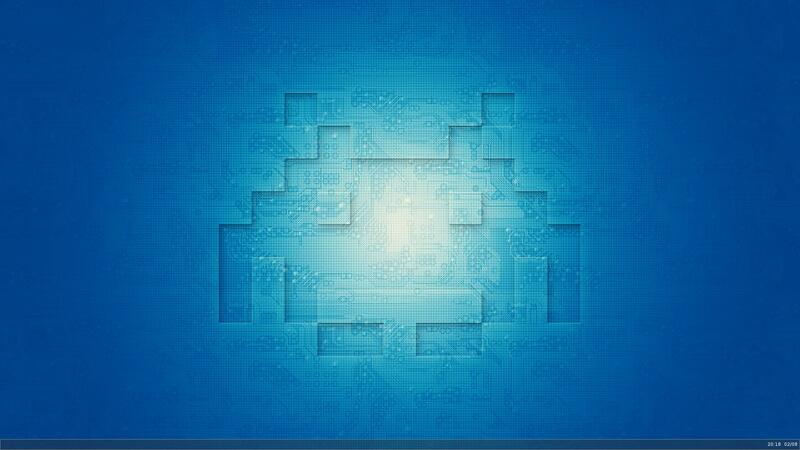 DWM | Conky + Dzen | urxvt. Cross-post from Xfce thread (I hope it's okey). 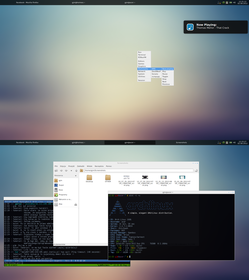 I must say that I like Xfce more and more. Apps on display are midori, thunar and deadbeef. GTK+ theme is Zukiwi, Xfwm theme is Kokodi and icons are Faenza Cupertino. Font is droid sans. Great job Paul! It looks great. 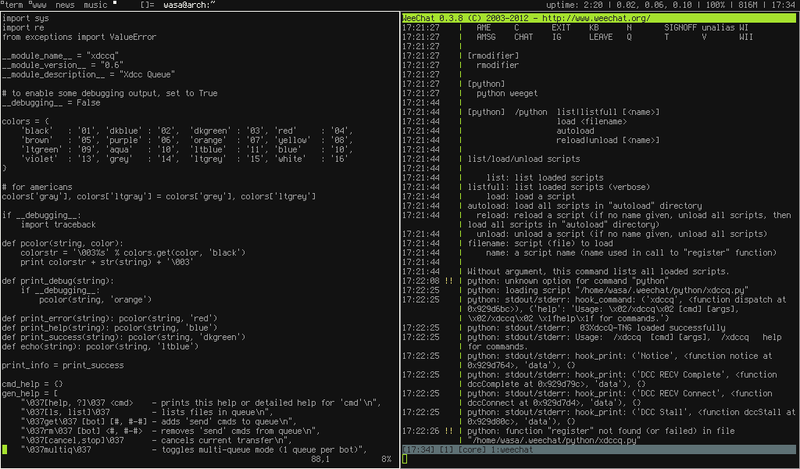 Finally something different from all those tiling WM's with zenburn-like color schemes. I just love the bright colors. Could you share your xonfig.h and .Xdefaults? Some slight changes, still DWM because it is the bestest. I'm a big fan of what the guys over at Elementary OS are upto, but i just can't leave arch. So this is my attempt at an even faster, lighter desktop with an EOS feel. -- "There comes a point I'm afraid where you begin to suspect that if there's any real truth, it's that the entire multi-dimensional infinity of the Universe is almost certainly being run by a bunch of maniacs." I was trying to revive a five year old plugin for weechat, took a screenshot, then switched back to irssi. I don't know why, but I like it much more for no real reason. Well, seeing as how my DWM hasn't changed AT ALL in a while, here's my Windows boot. Yea, it's just games..
Monsterwm. The first one is with splitter_bar + conky, second is splitter_bar with a simple status line and the last one is with bar. Thanks to firecat53 for helping me to get it to only show the number of open windows in monocle mode like dwm. Edit: Changed the name of the bar.